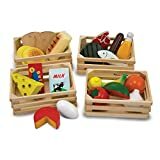 Feed your child’s imagination with the best pretend play toys that you can get on Amazon. From toddler age, your child will be developing loads of new skills, so to encourage their development try a pretend play toy. With pretend play, or small world play, a child can process what they see going on around them and make new connections to their own world. 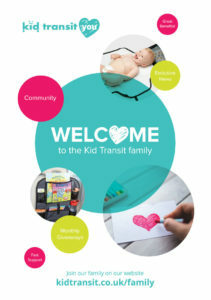 So many pretend play toys are child-safe mimics of adult processes such as cleaning, cooking and DIY that your child is likely to see on a daily basis and want to imitate for themselves. 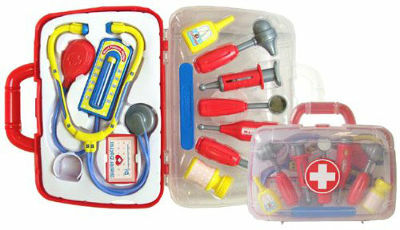 Toys like these stimulate loads of role play opportunities as well as developing motor skills. Most of them will age with them- things like play food, tea sets etc can be used by children for years to come. 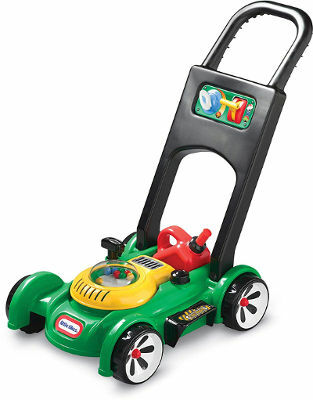 The Gas N Go Mower is a great alternative to the traditional walker toy for when your toddler is a bit steadier on their feet. 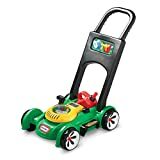 Let them help look after the garden as they push around their very own lawnmower. It comes with a little petrol can so they can fill up the mower and has a clicky key as well as movable throttle to encourage motor skills. There are also jumping beans in the mower to encourage your child to keep pushing. 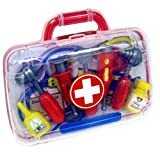 Lots of kids love to pretend play doctors and this little medical carrycase has all their favourites including stethoscope, thermometer, syringe and medicine. A great idea for lots of role play based games and perfect for you to help them understand visits to the hospital or the doctors for things like vaccinations or when they feel poorly. 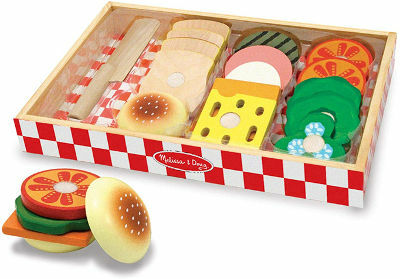 Get your toddler interested in what they eat with some colourful wooden play food from renowned toy makers Melissa & Doug. 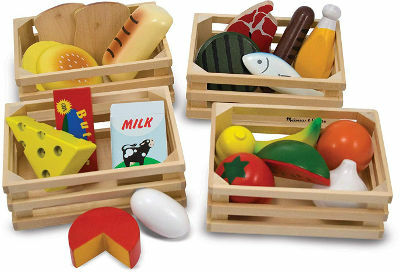 The set has four crates each covering the main food groups: carbohydrates, meat, dairy and fruit/ vegetables. Your child can have loads of fun making culinary creations, playing shop or restaurant with their friends and toys. A really great add on set if they have a play kitchen or for use on it’s own. Cleaning toys are always really popular with toddlers and are really useful when you need to do some chores and they want to help as well! 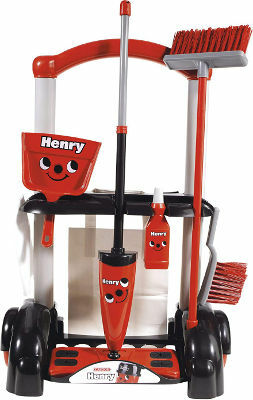 This set is based on the Henry vacuum cleaner that has a happy smiling face on it. It comes with all the cleaning gadgets your boy or girl could need including a broom, dustpan and brush, bottle and flat head mop. Give them a little water spray bottle alongside the mop and they can really be doing the cleaning while you enjoy a cup of tea. 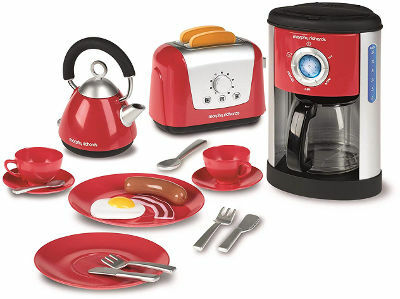 This lovely kitchen set is perfect if you don’t have room for a full play kitchen but your child still wants to pretend to make meals. It comes fully equipped with a toaster, kettle, coffee percolator (which can be filled with water), plates, teacups, cutlery and some play food. Your child will love making breakfast and cups of tea or coffee for you while learning about how to use kitchen things safely. 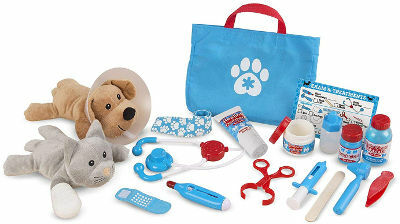 Another great pretend play set from Melissa & Doug, the Vet Play Set includes plush toys along with the vet equipment to make them better. The play set is great at teaching empathy to young children, learning how to look after and care for their ‘pets’ when they are hurt. 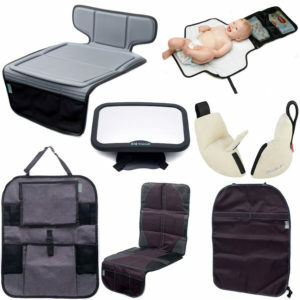 Loads of different equipment means hours of role play either by themselves or with siblings and friends. 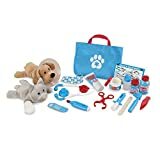 COMPLETE VET SET WITH PETS: The Melissa & Doug Examine & Treat Pet Vet Play Set is a 24-piece set with a plush dog and cat, pretend play vet medical equipment, and a tote bag for easy storage. This fun ice cream cart is fully interactive for hours of fun play for preschoolers. 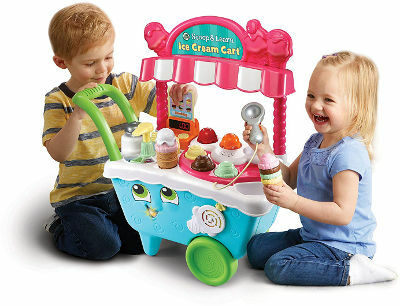 The cart encourages counting, problem-solving, sequencing, memory and matching all while they create ice cream creations. With fun songs and music as well as cards to make characters their ice cream orders, this toy will soon become your child’s favourite. 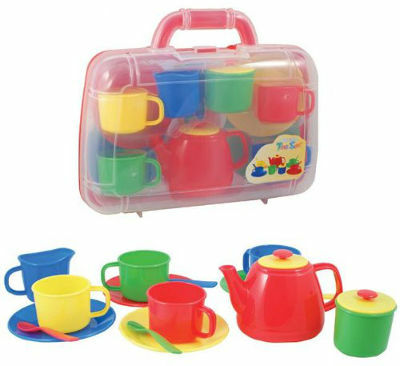 Simple but full of endless play variations, a tea set is a must for any child. 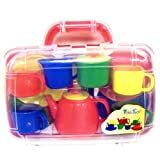 Whether you are having picnics with your toys, making tea for Mummy and Daddy or practising filling and pouring in the bath, a tea set will keep your child entertained. Develop your child’s comprehension as you ask them for a particular colour plate or cup and encourage sharing as they pass around the teapot with their friends or siblings. 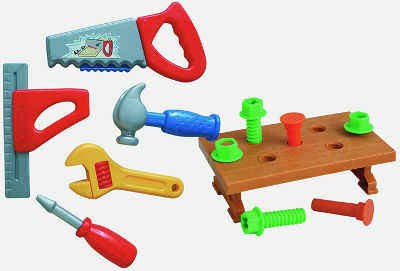 If your child enjoys banging things together then maybe a toy toolset is the pretend play set for them? 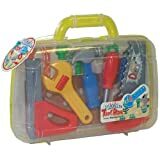 This one has a little workbench which they can screw or hammer screws and bolts into as well as a spanner, set square, saw, screwdriver and hammer so they can pretend to fix (or destroy!) all sorts of things around the house. Great for encouraging problem solving and dexterity. 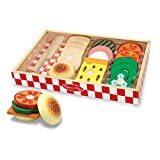 A final wooden play set from Melissa & Doug, this time a fun sandwich making set that comes in a slimline box for easy storage. 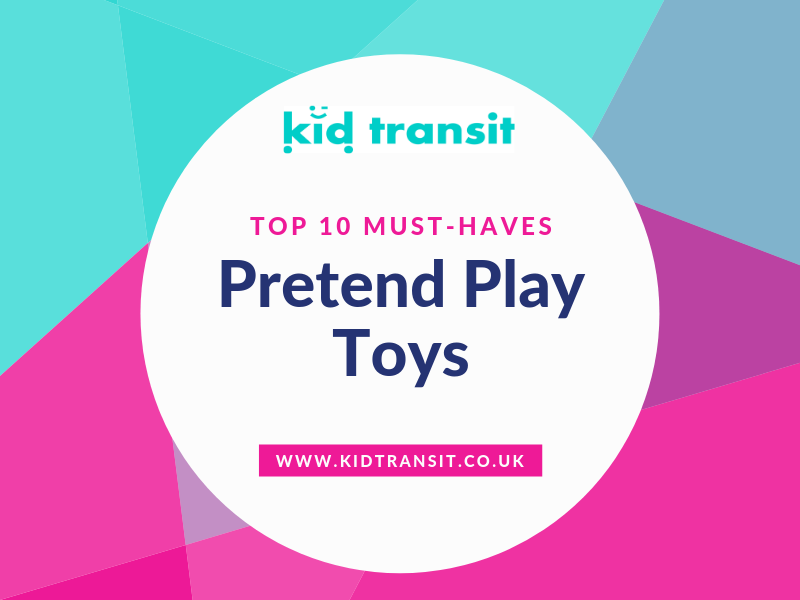 With lots of healthy choices to make their favourite sandwich and a knife to practice spreading and cutting, there’s loads of opportunities for pretend play. Each sandwich item has Velcro attached so the sandwich wont fall apart and the knife can then cut the sandwich with a satisfying crunch.